HELENA - It's tax season and the Montana Legislature is considering several measures to adjust the tax code. The House Taxation Committee heard three bills on Tuesday that would cut taxes for individuals. Much of the discussion highlighted policy differences between opponents and proponents over how much tax cuts benefit the economy and impact government revenue; and whether tax cuts for the richer - who pay more taxes - are more helpful and desirable than tax cuts for the poorer. House Majority Leader Keith Regier (R-Kalispell) is carrying House Bill 166. It would reduce everyone's personal income tax rate by one-tenth of 1%, making many people's taxes a couple of percentage points lower. The measure would reduce revenue by about $80 million over the next four years, according to its fiscal note. Glenn Oppel of the Montana Chamber of Commerce called it a good and moderate first step. "What it will do is put wealth back into the hands of Montanans, who will then turn around and spend that wealth in our local economies," he told the panel. Opponents - including the Montana Department of Revenue - say cuts wouldn't necessarily help the economy, could ultimately reduce key government services and would disproportionally benefit the wealthy. 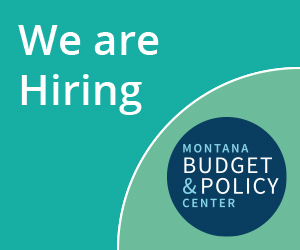 Heather O'Loughlin, co-director of the Montana Budget and Policy Center, cited an analysis that says people making a little over $450,000 a year would see a $600 cut, while those making $28,000 annually would see a cut of just eight dollars. Those cuts would total about 80 million dollars in Fiscal Year 2017. "There are numerous benefits to doing in this fashion," said Joe Balyeat of the Montana chapter of Americans for Prosperity. "Of course, logically speaking, its' the taxpayer's money and you could argue that when we have this large of a surplus that we have in effect over-collected from the taxpayers." Rep. Frank Garner (R-Kalispell) offered a bill to freeze property taxes for people over 65. House Bill 159 ran into opposition from AARP and from a representative of county treasurers, who said it would just shift the tax burden to younger homeowners and also benefit the wealthy. "All it really does is takes two identical houses, Mom living in one and kid living in the other," said Rhonda Wiggins of the Montana County Treasurers Association. "And Mom's are frozen at this rate and we just keep raising the rate, exponentially, on the other house." The measure would apply only to those using homes as their principal residences (living there at least seven months out of the year) and would only cover up to one acre of land. A fiscal note says that the bio would reduce state revenues by $383,000 in Fiscal Year 2017, rising to more than $1.1 million in Fiscal Year 2019.